Brownie! Celebrating the life of legendary jazz trumpeter Clifford Brown. Welcome to brownie!, the unofficial Clifford Brown Web Site. This is the place to get the facts on this extraordinary jazz man and perhaps some insight into his life and legacy. Looking for the forum (Clifford Brown Yahoo Group)? The 2016 DuPont Clifford Brown Jazz Festival will be from June 21st through 25th and will be held at Rodney Square in Wilmington, Delaware. You can find a good interview with Nick Catalano here, who wrote an excellent Clifford Brown biography (here on Amazon). I started this site ten years ago, back in 1997, as a project for my web design class. Web design has come a long way since, and I'll have to update this site, and add more info. A few years ago, we even had the Cool Site (the sunglasses) designation in Yahoo! Thanks to Scott Granneman for getting me started in web design, web programming, and just being an incredible instructor. If you are near the St. Louis area, I highly recommend his classes. More info on his site. 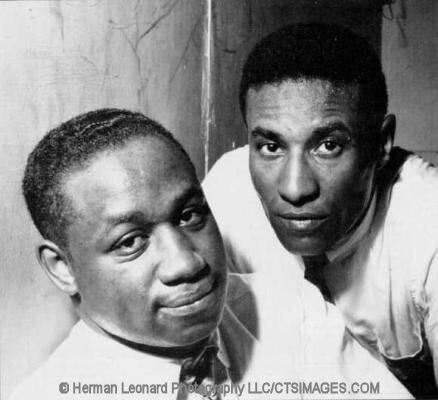 It's been 50 years now since Clifford Brown, Ritchie Powell and his wife were killed in an automobile accident on a rainy, early summer morning. Check out this article by Matt Schudel from the Washington Post. Content (c) 1997-2010. Photo (upper-left) by Herman Leonard.